Blame the scorching heat, the green large round water melons are still abundant here in TN. Well, it's a fact that a few weeks ago I was so carried away by this creative girl who made this pretty looking cake with the fruit and soon some stuff with its rind, the innovative melon rind dosa ! Seriously, I couldnt wait even for a moment to try this. Rather for than the sweet red watery flesh enclosed, I was impatiently reaching for the 'glamourless' thick green cover.Undoubtedly the dosa proved to be a huge hit! 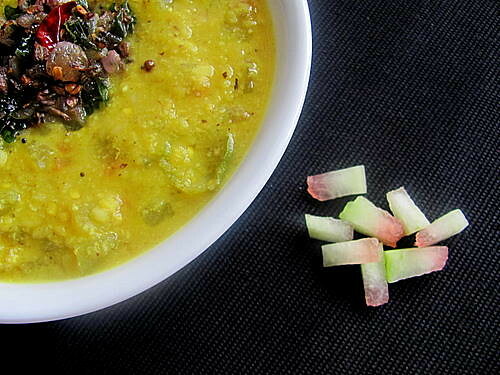 The remaining part is not that difficult..
Give a quick rinse to the roasted moong dal and transfer to the pressure cooker. 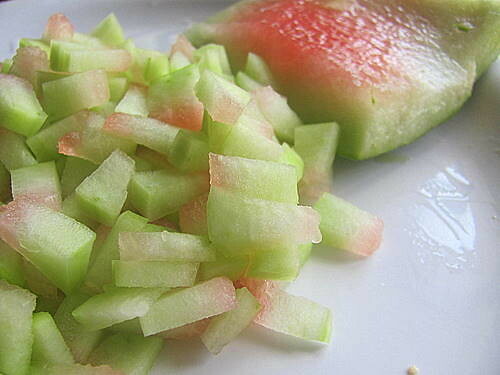 Add 1 1/2 cups, more or less, water, melon rind pieces, slit chillies, both the powders, stirring in the coconut paste. Wait until 2-3 whistles. Put off fire, vent out steam, open, and season. Seasoning- Heat oil in a small pan / kadai, splutter the mustard seeds and brown the minced onion until the aroma spreads.Put off fire, throw in curry leaves and pour over the curry. I wanted to post this before I packed off for the holidays and then I was obsessed exploring the new camera and proceeded posting a recipe with the picture shot from that. 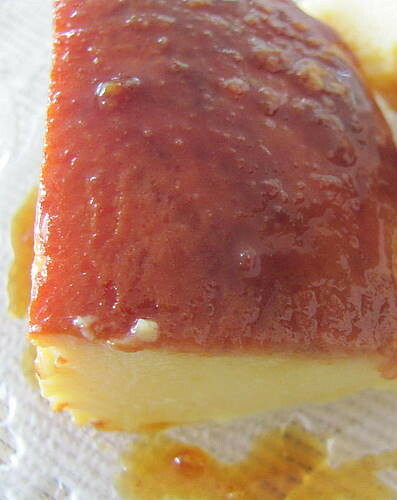 Caramel Custard had probably been my first trials with desserts as a 12 year old. Believe me, I never used to go wrong with this recipe and always came out with the firm golden coloured puddings with the moist deep brown coating, which never went bitter as well. Amma always used to try the same recipe with a little difference and that was nothing but the addition of custard powder instead of Vanilla. This always made the pudding firmer and more comforting and never had the 'eggy' flavour like in mine..
1. Caramel- Melt 3 tablespoons of sugar in a saucepan or a stove top pan (which you can also use as a mould af ter you pour in the custard mixture) until golden brown or a bit darker as you see in mine. Remove from heat and set it aside ( if you use the same utensil for setting the pudding later). Do not panic if the caramel hardens and if you happen to hear mild cracking sounds :). 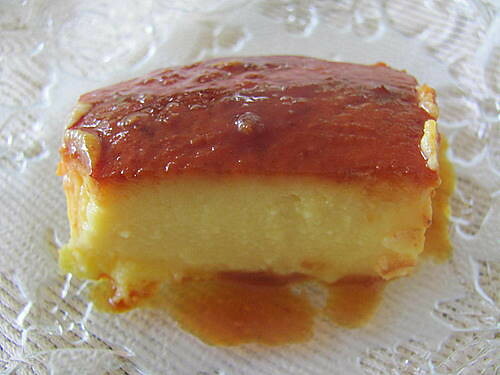 It is natural and after you pour the custard and set the pudding, it melts and coats the bottom in a uniform way. If you use separate moulds, lightly grease them and transfer about 1- 1 1/2 tsps of caramel, while it's still hot and swirl around gently so as to coat the bottom. Set aside. 2. 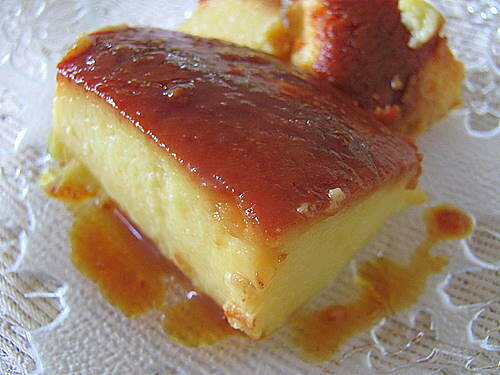 Custard- Stir in custard powder in 3/4 cup of milk in room temperature without lumps. Keep aside. Bring the remaining milk to boil adding the rest of sugar. Simmer for a few seconds (not much as the addition of custard powder, which follows, compensates) Stir in the custard powder milk mixture carefully keeping the fire low taking care not to form any lumps until well blended. Remove from fire. Stir in lightly whisked eggs , gently. 3. Cool the mixture and fill the moulds. Cover each of them with butter paper tied around the mouths. Steam in medium heat for 10-15 minutes. If using oven, place the moulds in a flat tray and then fill the tray with water. Cover the tray with aluminium foil and bake in 140 deg C for 20-25 minutes. With brilliant pictures of perfectly shaped caramel custards carefully 'unmoulded' all over the blogosphere, I know this is an imperfect one, just a casual slice which I could reserve for the day light shot which much effort ;) after the dinner, the previous night. 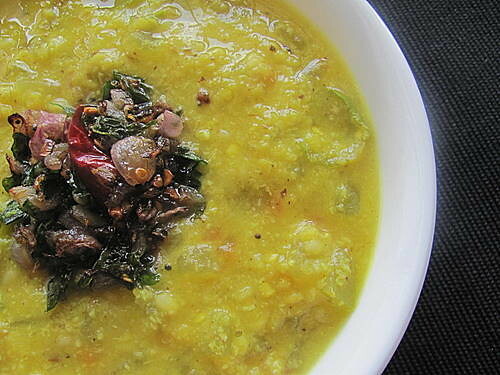 Just wanted to share the recipe with you as it is easy to make and tastes really good!